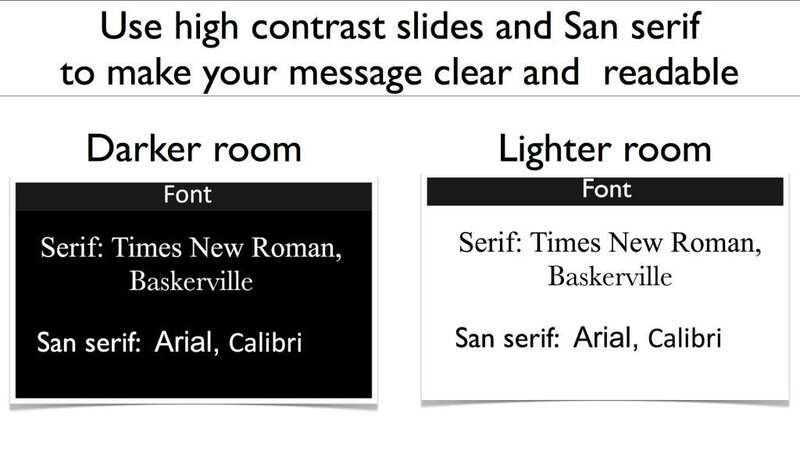 The font, colours and contrast you pick make your slides easier, or harder, to read. Backgrounds: Dark backgrounds with light writing makes it easier to read in a darker room. Dark writing with a light background makes it easier to read in a light room. It makes the writing pop. 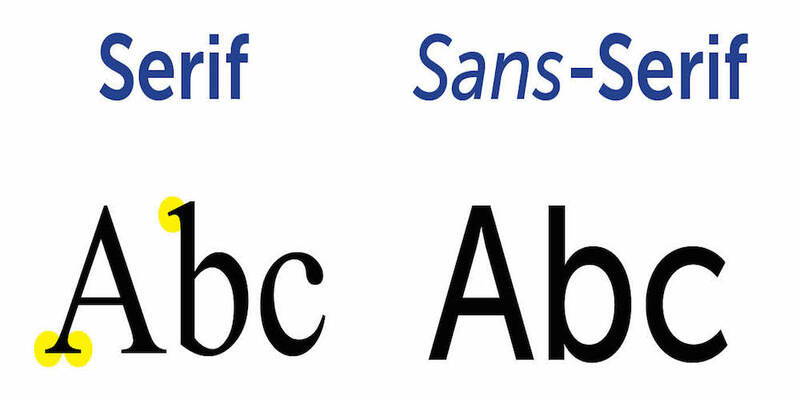 Fonts: San serif (Arial) is easier to read on a presentation, while serif (times new roman etc) is easier to read in books. Colours: Make sure there is sufficient contrast between the background and the text. the more contrast the better. Remember: less is more. Always think Billboard when designing slides, don’t think document!